Please join WDFI for an evening of art inspired by native Hawaiian species! Our show will feature renowned local artists who support our work in the dry forest through art. Tickets are only $30 and include admission, drinks, pupus, live entertainment and fantastic art. 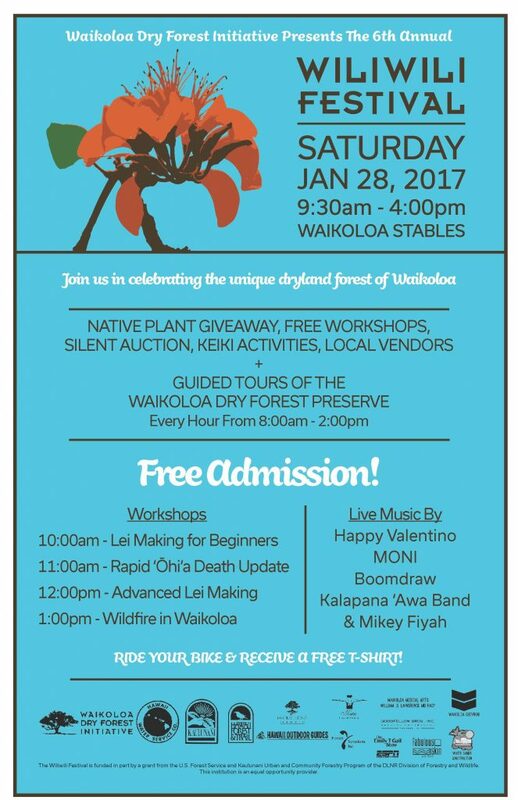 Sales will benefit the Waikoloa Dry Forest Initiative. Get tickets here.